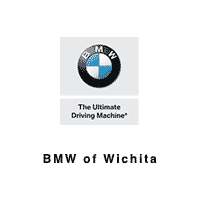 Come to the BMW of Wichita Service Center for Professional Maintenance! Your luxury car deserves to be treated like the such, which is why we put exceptional care into every vehicle we service at our BMW dealership near Salina, KS. From quick tasks like oil changes and tire rotations to more extensive repairs under the hood, our BMW-certified technicians will complete the job efficiently to ensure you’re driving a safe vehicle at all times. It doesn’t matter what type of car you drive, we’ll repair and maintain them all! You can schedule a service appointment online to plan ahead, or you can stop by our Wichita service center in person to have us take a look. Browse the BMW service specials we have running, too, just in case we’re offering a chance to save on the maintenance you need. We’re always looking out for our customers at BMW of Wichita. Trust us for all your BMW repairs in Kansas! Loaner Cars are available for scheduled appointments expected to take longer than two hours. Due to insurance regulations, the driver of any Loaner Car must be 21 years old. The driver must present a valid driver’s license, credit card, and proof of insurance before operating a Loaner Car. Only the person(s) listed and signing the Loaner Car Policy may operate the Loaner Car. All Loaner Cars are NON-SMOKING vehicles. A detail fee of $299.95 will be charged to the driver who smokes in any Loaner Car. Pets are not permitted in Loaner Cars. A detail fee of $299.95 will be charged to the driver who transports their pet. The Loaner Car must be returned on the day the repair is completed or when agreed day is scheduled. A usage fee of $59.95 per day will be charged to the driver who fails to return the Loaner Car on the repair completed day or agreed upon day. A fuel fee will be assigned at a rate of $3.75 per day. All vehicles will carry a minimum of 1/4 tanks of fuel. The guest will be responsible for adding fuel for personal use beyond that 1/4 tank.